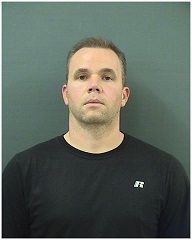 NASHVILLE – Special Agents with the Tennessee Bureau of Investigation have obtained indictments for a Sumner County man charged with falsifying documents and applying for credit in the names of some of his former customers. At the request of 18th District Attorney General Ray Whitley, TBI Special Agents and officers with the Portland Police Department began investigating Brian Lewis on February 7, 2014. During the course of the investigation, agents developed information that Lewis, the owner of Woodland Furniture stores in Portland and White House, TN, was using personal information from prior credit applications of former customers to open new accounts. Agents determined that between September 2013 and January 2014, Lewis used customers’ data to apply for credit without their permission and subsequently received payments for false furniture sales. Today, a Sumner County Grand Jury returned indictments for the 40-year old Portland man, charging him with 13 counts of Identity Theft, eight counts of Forgery and one count of Theft over $10,000. This afternoon, Lewis turned himself in at the Sumner County Jail where he was arrested and booked. He is currently being held on a $10,000 bond.